Madrid (Spain) (AFP) - Saudi Arabia's crown prince arrived in Madrid on Wednesday on the last stop of his global diplomatic charm offensive in a bid to project a new liberal image of his conservative kingdom. Cospedal was representing Spanish Foreign Minister Alfonso Dastis who is accompanying Prime Minister Mariano Rajoy on an official visit to Argentina. Prince Mohammed is scheduled to meet with Spain's King Felipe VI, who acceded to the throne in 2014, on Thursday morning before holding talks later in the day with Rajoy. During his short visit Spain and Saudi Arabia are expected to sign five memorandums of understanding in the areas of culture, science, employment, air transport and defence, a Spanish foreign ministry source said. Top-selling daily newspaper El Pais reported earlier this week that Spain would likely make progress during his visit on a deal to sell five warships to Saudi Arabia for around two billion euros. A coalition of NGOs including Amnesty International and Greenpeace urged Spain not to go ahead with the sale of the five corvettes because they could be used in Saudi Arabia's military campaign against Iran-backed Houthi rebels in Yemen, where thousands of civilians have been killed. 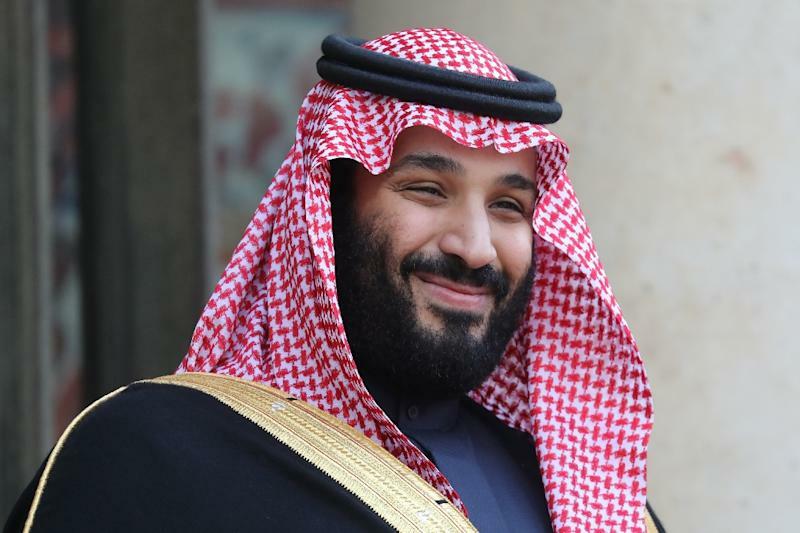 The Saudi prince's trip to Spain comes hot on the heels of a three-day official visit to France and after a tour lasting several weeks of the United States, Britain and Egypt, where the self-styled moderniser signed multimillion-dollar deals. Spain and Saudi Arabia's royal families are very close as King Felipe VI's father Juan Carlos was a close friend of the kingdom's late King Fahd, who reigned from 1982 to 2005, and is close to his brother King Salman.